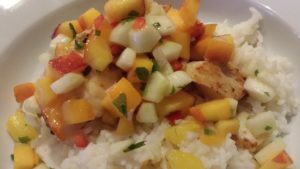 Zesty Cucumber Pineapple Peach Salsa. Here’s another simple and tasty option to use all those garden cucumbers. 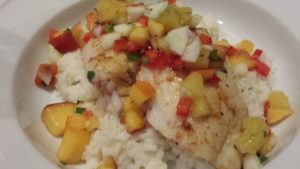 I like to serve this Zesty Cucumber Pineapple, Peach Salsa with grilled fish fillets or even fish tacos. It’s also great with tortilla chips or sweet potato chips as a dip. Salsas are popular ways to use a variety of vegetables and fruits as a healthy accompaniment to main course dishes. They’re also great as party dips. 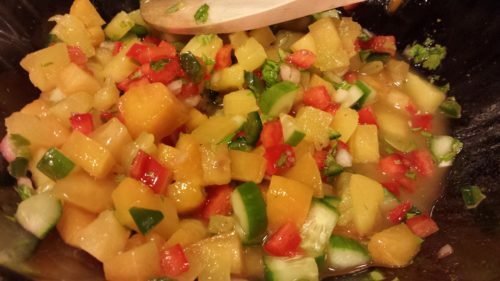 Combine diced cucumbers, pineapple, peaches, and red bell pepper with minced jalapeno pepper, shallot, mint and/or cilantro. Season with lime juice, honey and salt. 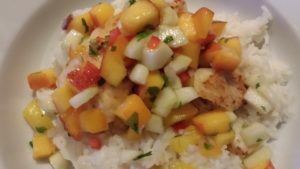 And now you have a Zesty Cucumber Pineapple Peach Salsa! 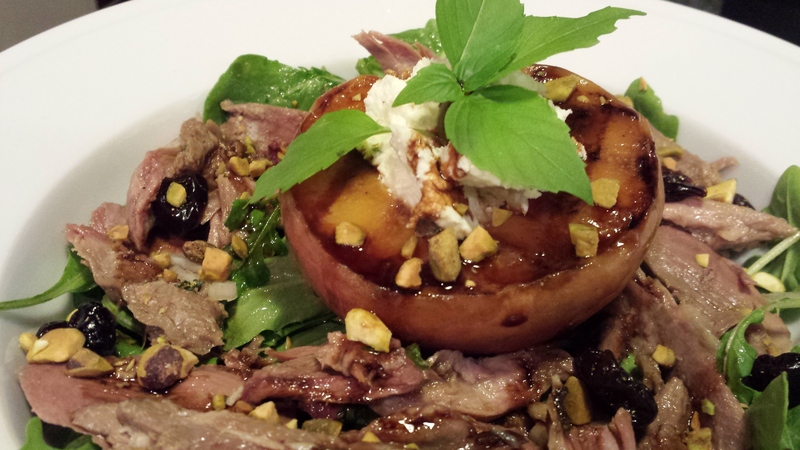 Combine all ingredients in a non-metallic bowl. Let sit at room temperature for at least an hour. If you are not using the salsa right away, refrigerate it a few hours or overnight. Makes about 3 cups. 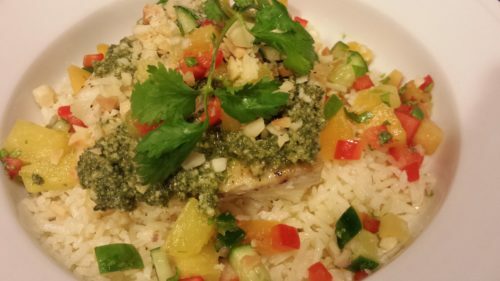 Serve as an accompaniment to grilled fish or chicken. Serve with tortilla chips for dipping. Variations: Add some diced mango or strawberries to the salsa. Add some freshly squeezed orange juice instead of lime for a sweeter flavor. Try a dash of cumin powder for a spicier version. 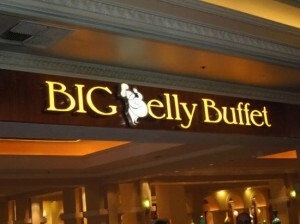 Add some black beans and chilled diced cooked chicken and serve over a bed of greens for a hearty main course salad. 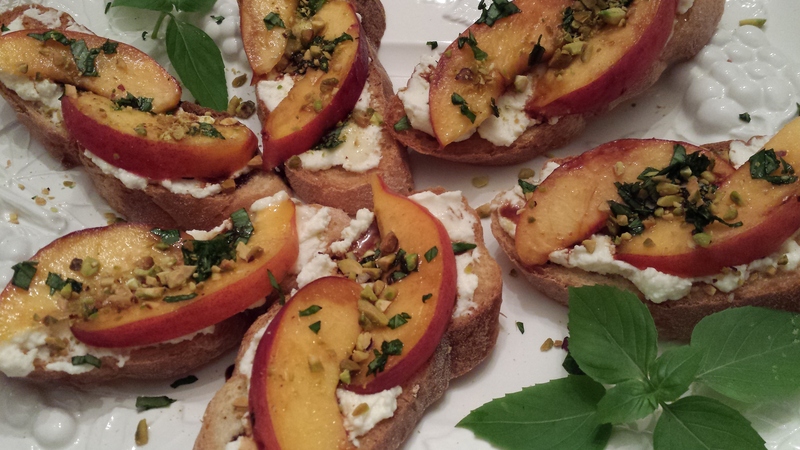 Try this salsa over vanilla ice cream or frozen yogurt for a zesty dessert.